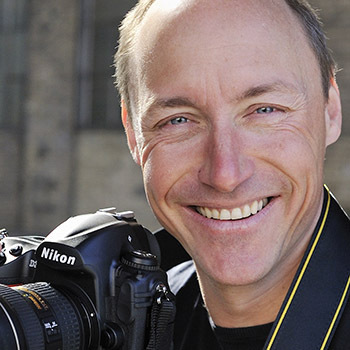 Der Dalai Lama hat dem Schweizer Fotografen Manuel Bauer gestattet, in seiner nächsten Umgebung zu arbeiten und auch dann anwesend zu sein, wenn die Türen für andere geschlossen wurden. Entstanden ist ein Porträt von grosser Nähe und Intensität, das uns den buddhistischen Gelehrten und Friedensnobelpreisträger auf empfindsame Weise näher bringt. Manuel Bauer begleitete während der rund 4-jährigen Projektarbeit den Dalai Lama auf über 40 Reisen weltweit und belichtete 75.000 Negative. 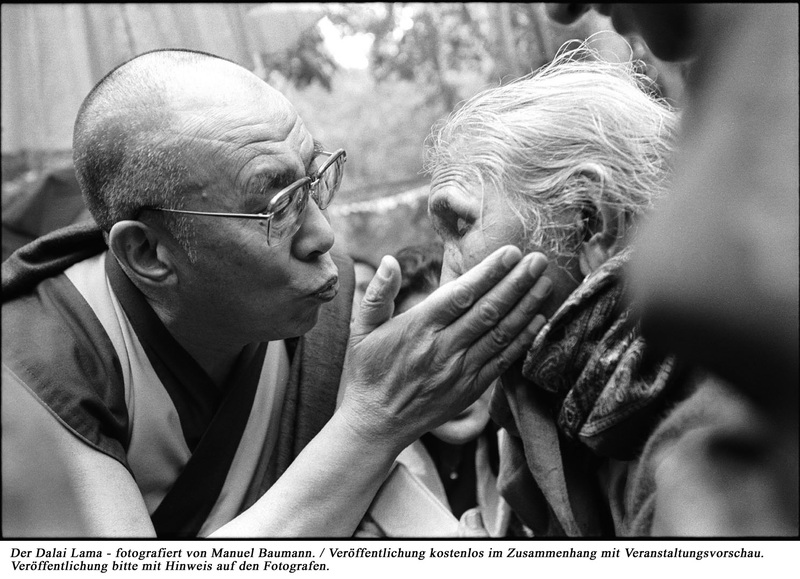 Unter dem gleichen Titel wie das Buch "Dalai Lama - Unterwegs für den Frieden" hat Manuel Bauer auch eine Fotoausstellung und eine Live Reportage realisiert. "Not only do I admire his profession - taking pictures. I also admire him as a human being. He is a very nice person, very sincere, very humble. I believe he possesses a very pure sort of mental attitude. This is my personal view, my personal feeling. I have known him for many years now, and he has demonstrated a profound affinity for me throughout the entire period. I consider him a true friend." "He is more than simply a professional: he is a close friend of mine. He also knows a great deal about Tibet, about the Tibetan community, and he has spent years making himself familiar with our culture. He understands Tibet comprehensively, as he does the exile community; and he knows me very well too. It is this knowledge that allows his pictures to say so much about their subjects. There is no doubt that some Tibetans will appreciate this project which I have seen and approved, that they will like it. Others, of course, may be more disturbed by it, and thats only normal. People are so different: just think of Buddha, or Jesus Christ, and of how many people have admired these great masters. And yet at the same time there have also been critical voices among the choruses of praise. This is simply human nature."